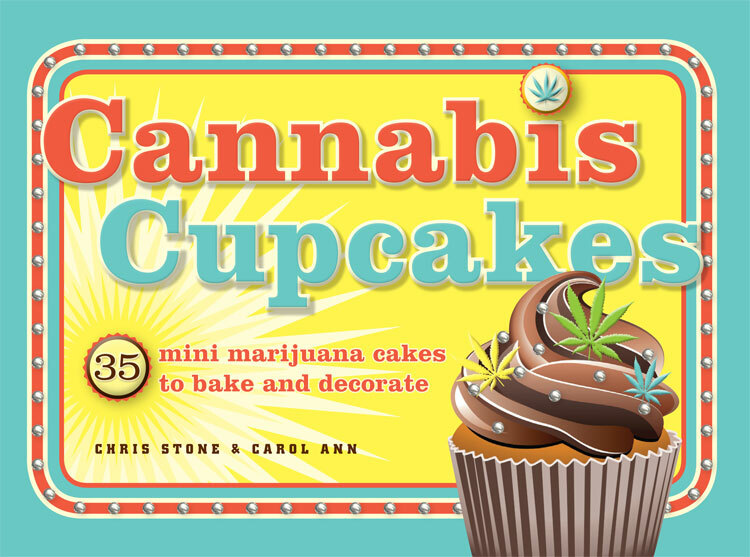 Cannabis Cupcakes features 35 recipes for crazy-delicious cupcakes and muffins made with Boosted Butter and Souped-Up Sunflower Oil, along with step-by-step cartoon illustrations to ensure that no reader is left confused — however wasted he or she might be. Complete with wacky themes and decorations, information on making time and baking time, plus dosing charts to keep you informed before you reach for a third (or ninth!) cupcake, this book will become your new Ganja Gastronomy Bible. So you can roll up your sleeves, whip up some Magic Bus Red Velvet Cupcakes, and prepare to be a “hit” at the next party.